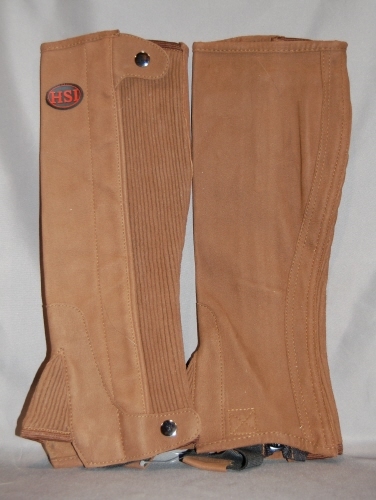 Equestrian Ladies Half Chaps. 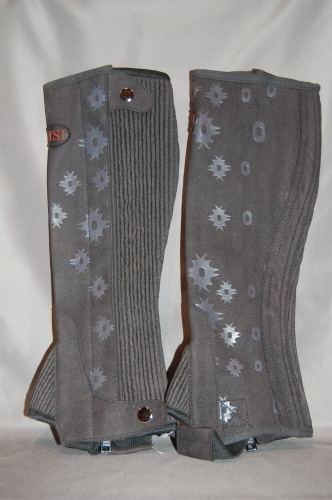 Shop for Ladies Chaps that is designed to be worn over a paddock boot for added grip for the rider. 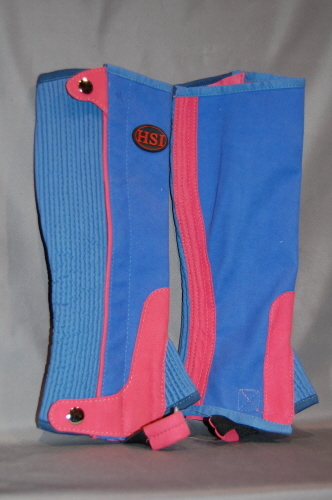 Half chaps for the English rider! Equestrian Ladies Half chaps are so comfortable and easy to use, ...Shop at HorseSmart Tack and Apparel for Ladies' Half Chaps. We offer a full selection of half chaps in full grain leather, suede and synthetic materials..
H.S.I's Ladies half chaps are a wonderful fit and style. 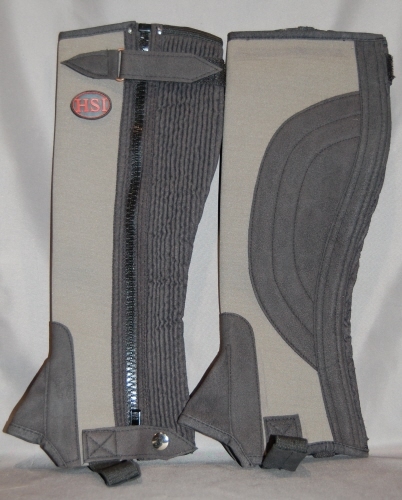 Our riding chaps are made of washable Neoprene. Very lightweight for warmer weather. These chaps have a very comfortable and supportive sleek fit. The cut outs are made from a synthetic suede leather and adorn the calf. H.S.I's Suede Schooling Half Chaps. Made of durable, soft, leather suede for everyday riding. Accordion panels to conform for the perfect fit with snap closures. Spot clean and freshen with wire brush. Features: Black Stars Embossed. 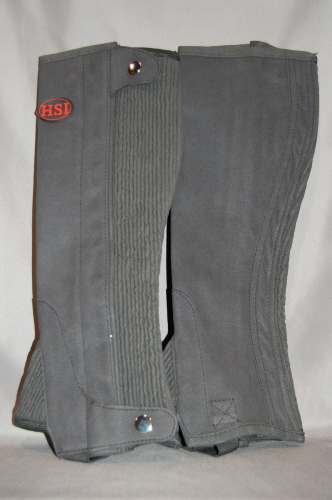 H.S.I's Suede Schooling Half Chaps Made of durable Suede for everyday riding. Secure with adjustable hook and loop closures along calf and at top&accordion panel for the perfect fit. Spot clean and freshen with wire brush. Perfect for the new rider. 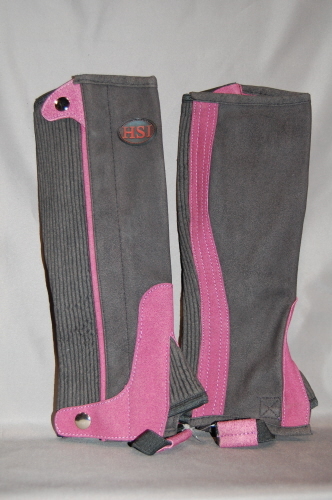 A great, basic Suede Half Chap by H.S.I with a suede inner panel for better grip in the saddle. These comfortable half chaps are a great value.